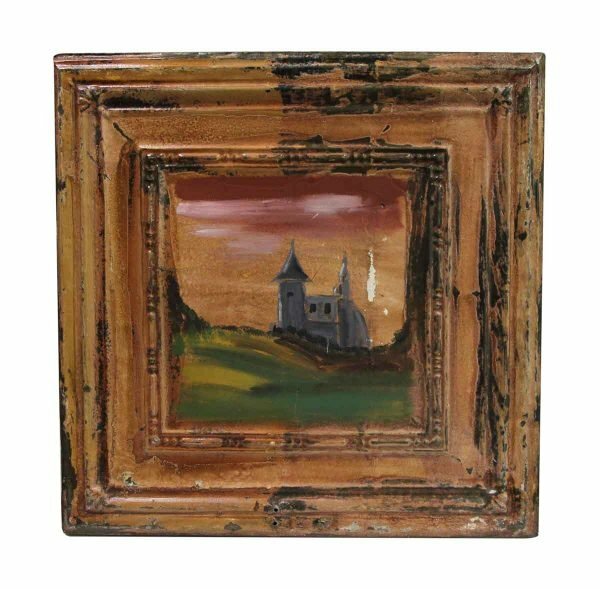 Original acrylic scenic portrait painting on antique tin by Paul McCrone. Some of these panels may have a few chips in the paint here and there. 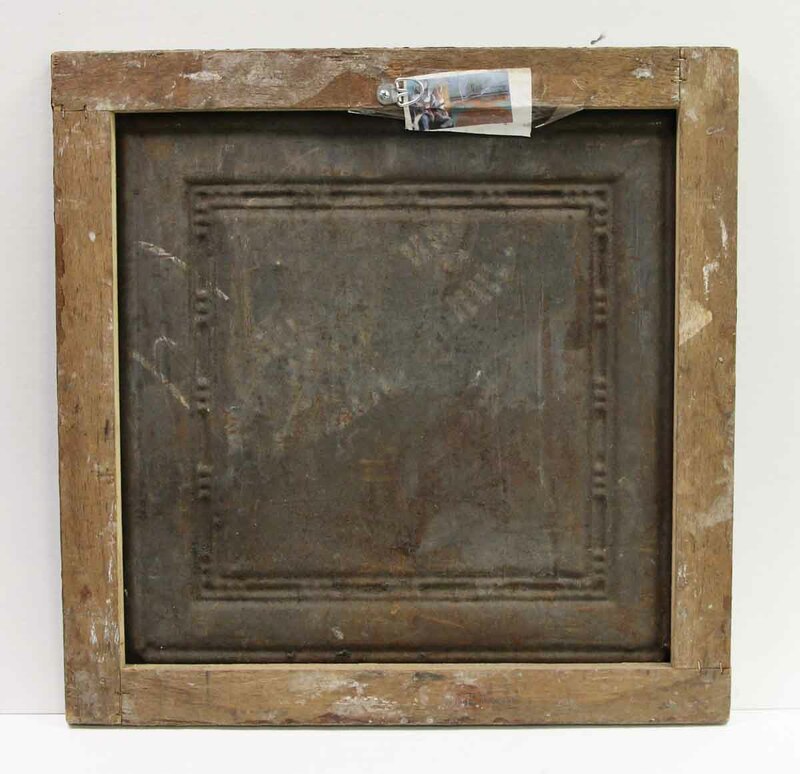 These tiles are made of antique salvaged tin ceilings. This item is unique and ready to ship.